HomeBlogHome DecorLegnoart Elixir wine decanter. Fine wine should be allowed to breathe properly prior to being served, in order to unfurl its complex aromas and unveil its true character. 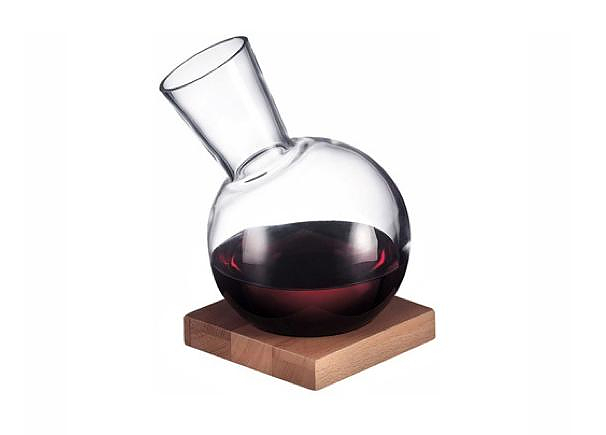 The Elixir decanter by Legnoart will aerate your precious wine in style. Legnoart is one of the most prominent Italian companies manufacturing designer objects for the house, the kitchen and the wine cellar. Their creations are regarded. Legnoart’s signature is its discrete elegance, impeccable function and profound uniqueness. 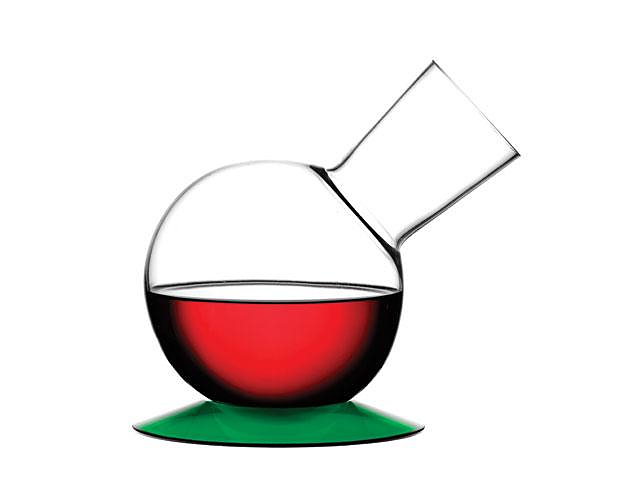 The Elixir decanter designed by the talented designer Bjorn Blisse fits the above description flawlessly. Visually it reminds us alchemical utensils, but at the same time it remains minimalist, modern and unique. The decanter is made out of blown glass, while the base is offered either in bamboo wood or in PMMA “synthetic glass”. Its shape allows easy rotation and tilting of the container, in order to facilitate easier aeration of the wine. Wine experts will certainly notice that the carafe movement along its axis simulates the circular move that wine tasters do with their glass, so as for the wine to breathe before they taste it. Legnoart Elixir is a beautiful accessory that will enhance the experience of enjoying a favorite wine.